The mission of the Computer Science program is to provide its majors with the expertise to become leaders and innovators in information technology and to produce graduates that will be successful professionals, be committed to lifelong learning, and make positive contributions to society. The department of computer science was established in the year 1989. It had very humble beginning with 20 students and 2 lecturers. Department is progressing more rapidly than past successive year along with 7 full time lecturers. The faculty approved a new undergraduate curriculum based on common core of course and allowing students to choose from a variety of tracks to specialize their computer science knowledge. The department provides information on company internship and offers opportunities for graduate school workshops and even an environment in which to unwind after midterms and finals. There are two separate laboratories each consisting of 25 branded DELL computers all are built in with original software, ONE HP 3-1 Printer ,2 interactive white boards, one smart board and two 10 KVA UPS with 3HRS backup. Network and internet facilities are also available. Project work will be carried out from the final year students under the guidance of staff members which helps them to enhance the technical skills. The New CBCS Scheme has been introduced i.e., the syllabus as been revised in Tumkur University during the year 2016-17. Our college introduced new BCA course in the Year 2018-19. The department has a tiny role in this process apart from presenting suggestions through its B.O.S members. 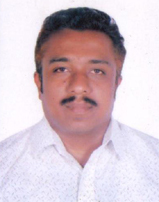 Mr. Mahesha S is the member of BOE in computer science for BSc , BVoc and BOAE member. 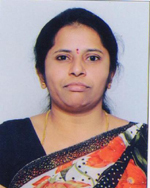 Mrs. Padmavathi K.V is the member of BOE in computer science for BSc and BVoc. 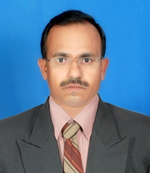 Mr. Irfan Ahmed is a member of BOE in computer Science. From past five years the senior lecturers are setting question papers for BSc and BCA university examinations. Trends in the success and dropout rates of students during the past 5 years. The department has a success rate of over 90% for UG programme whereas the dropout rate is 2% and it has shown reduction from year to year. The department has 2 fully equipped laboratories with 50 computers, smart boards with internet facilities. Staff Participation in Committees as member Coordinator as College & University Level. Student Strength for 05 Years. 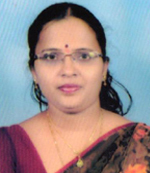 Pavitra T.R secured 7th rank during 2013-14. Husna firdose secured 2nd rank during 2014-15. 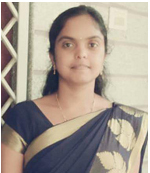 Lavanya D.R secured 8th rank during 2014-15. 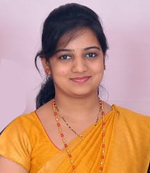 Manila Jain secured 5th rank during 2016-17. The faculty is expertise in computer skills to handle ICT in teaching-learning. With the latest audio and video teaching aids installed, the use of smart interactive board for ICT in teaching and learning in an everyday practice. Innovation Practices : Forum activities, Chart showing programs with Report and Photos, Seminars conducted. Placement record of the past students and the contribution of the department to aid student placements. 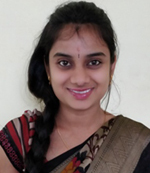 The faculty of the department has guided various students of BSC,BCOM,BBM and BCA about the various avenues of job opportunities and also trained with computer operating skills. The following students are selected for campus interview conducted by various MNC's. Dot Net, Data Structure, Data Mining, Image Processing, RDBMS, Computer graphics. Area of Interest / Specialization: Programming Languages-C, C++, Java, Data Structure, RDBMS, Software Engineering, Operating System, Multimedia. Area of Interest / Specialization: Programming Languages-C, C++, Java, Data Structure, RDBMS, HTML, DHTML, CSS, XML,PHP, PHYTHON. Area of Interest/Specialization: Programming Languages-C, C++, Data Structure, Software Testing. Area of Interest/Specialization: Programming Languages-C, Java, Operating System, RDBMS..
Area of Interest/Specialization: Programming Languages-C,C++, Java, RDBMS.